Record levels of employment Unemployment in Broxtowe has fallen yet again. There 512 more people in work since last July and 1,058 people looking for work in the constituency. The rise in employment is very good news – we have over 500 people more people in work, earning a wage and building a better future. I am particularly pleased that youth unemployment is dropping at a record pace. Meeting with the Environment Agency It was a pleasure to meet Environment Agency officers to discuss a number of issues – notably problems of flooding in Trowell and Thorn Drive Giltbrook, and the future of the former bund in Attenborough. The EA were very helpful and will be writing to residents with details of our discussions. I am pleased to say that I have finally secured a meeting with the County Councillor responsible for flood related issues to discuss the long standing problem at Boundary Brook in Trowell. BT say landlines will be restored by the end of the week Hundreds of people in Beeston, Bramcote, Chilwell and Attenborough remain without their land lines and many have also lost their internet connection. BT assure me they worked through the weekend and hope to have everyone reconnected by the end of the week. My thanks to everyone who has passed on details of loved ones and neighbours who need urgent assistance and we have had some success with BT and other providers. Please do check with your neighbours and forward on any problems to me. View from my office on Friday. 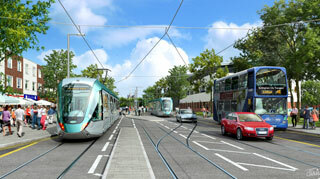 Tram works latest – “Park and Ride” coming to a street near you? traffic chaos and ranting on ! I met a group of people from Cator Lane North who are campaigning for a residents only parking scheme. They have severe problems with commuters blocking drives, taking spaces and so on who then catch the bus into the City and avoid the Workplace Parking Levy. Things will only get considerably worse when the tram finally opens because there has been poor planning; commuters need public car parks in Beeston town centre so they can take the tram and use the town's shops and businesses on the way home. This lack of foresight means there is a danger Beeston and parts of Chilwell will become a huge, free, park and ride in residential streets, with no advantage to our shops and businesses. I have written to the leaders of the City, County and Borough Councils urging them to address this problem as a matter of urgency In the meantime I will help residents on Cator Lane North and Dovecote Lane who have been battling with commuter parking problems for far too long! After a rather sharp email I sent to Notts Council, they have decided not to add to the traffic nightmare in Chilwell/Beeston and will defer the repainting of the pedestrian bridge on Bye Pass Road until after the tram works have finished. Meanwhile there will be road closures and more lane restrictions on University Boulevard and Queens Road. I was out and about in Kimberley on Saturday; thank you to everyone who filled in my survey and a warm welcome to new subscribers to this newsletter. 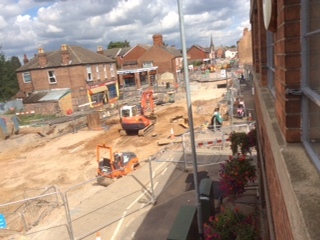 Tram Works – Are They Getting There 12 and 16 August 2014? I took another set of photographs over the tram route through Broxtowe on 12 and 16 August 2014. Click on this link to see them. Anna Soubry writes: This afternoon County Councillor Richard Jackson was informed that Bye Pass Road will be subject to lane closure from Monday 18 August until Friday 5th September from 9.30 to 3.30 pm from Monday to Friday. Given the plans for total road closures in the Beeston area we have expressed our very grave concerns about the timing of this work. Very Shortly part of the NET phase 2 Clifton link will be tested for the first time. Here are the details of 4 new outings including booking forms: Bingham Christmas Tree Festival, January Sales at the Potteries, Proposed Visit to The Globe and Proposed Visit to London. Visit Bingham and see the spectacular display of decorated Christmas trees in the Church of St Mary. This is a short email about a somewhat serious situation in parts of Chilwell and Beeston. Click on August 2014 Open Meeting Announcements to see the presentation running at the meeting. 1. John Lloyd has had a serious cycling accident but is now getting better. Best wishes for a speedy recovery. The Doddington Hall trip is fully subscribed. …and maybe some other elected bodies too. How much is too much? Could we merge some levels without losing accountability? Or is sharing the way forward? Beeston U3A Members are invited to join Long Eaton U3A's Visit to Victoria Baths, Manchester and Bakewell on Wednesday 24 September 2014. Full cost £20.00 including lunch. 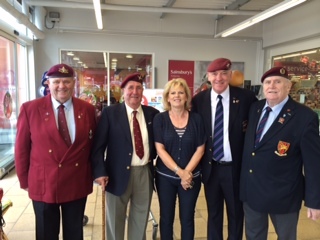 Deposit of £5.00, balance to be paid by 15 September 2014. to Mrs D West, 54 Lancaster Avenue, Sandiacre, Derbys NG10 5GW. Depart 9.00 am from West Park Leisure Centre, Long Eaton. 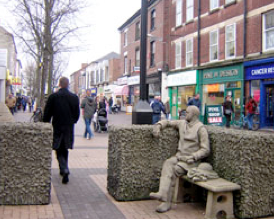 Town Centre Improvement Poll – Poll Results Available! Many many thanks to everyone who voted in the Town Centre Improvement Poll. You can see the results of the poll over on the page now. Peoples preferences will be strongly taken into account, and this “phase 1″ of selected improvements will be completed in time for the tram opening – we hope to communicate the planned improvements by Broxtowe Borough Council as soon as we hear from them.